The Turkish games studio talks about its journey with the quirky game, Sync: Party Hard. Every year, Casual Connect offers Indie Prize nominees a chance to participate in an upcoming Indie Prize showcase at one of four global events. 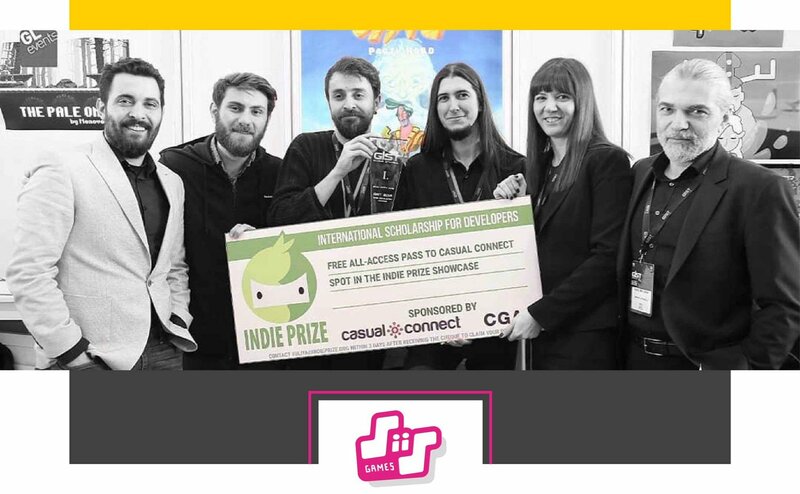 Gaming Instanbul (GIST), the largest B2B and B2C gaming expo of Turkey and the MENA region, is a proud partner of the Indie Prize and happily nominated its Best Indie Game winner to come to a future Casual Connect. The lucky studio is a Turkish developer called Siis Games, which made Sync: Party Hard, a mobile game with a twist on Greek mythology. The GIST Indie Area enables small developers to network, present their games to attendees, and arrange meetings with potential investors and/or distributors -- not unlike Casual Connect. Now Siis Games has an opportunity to grab the spotlight at Casual Connect London. Marketing budgets for indies are typically slim or nonexistent, so gaining exposure is critical for success. In 2014, Siis Games was started by Alper Özgün Yeşil and A. Utku Sipahioğlu. Now there are four team members, each with a specific role in this budding indie team. GameDaily recently caught up with Alper, who works on both game design and art, about his already prize-winning game and the studio’s future plans. Your game has a unique style. Where did the inspiration for it come from? Then one day, I [just] sat in a café and started to work on this game [again]. I wrote some scenarios and designed some game structures, [and] one of them was about a generational conflict that happens between Hercules and his father. We are in ’70s… in the absence of Zeus, Hercules threw a huge party with mythological gods, and ruined the whole universe! Now he has to make everything great again before his father comes back. What is your work culture like? How do you all interact? Do you work remotely? We used to work remotely. Then, we managed to gather the core team together. Now we are closer than ever and it makes such a difference in our efficiency. Siis is [such] a small team that every single member has so many different roles. It is one of the “good” challenges of being an indie studio. Also, [it is] the only way to fully own your game. What’s in store for the future of Siis Games? Do you have new projects planned or started? Probably, because of the boredom of working on the same project [for the] last three years, we have come up with a bunch of game ideas we would like to make real, and we are working on all of them at the same time. We will be launching a war/sports game about angry roommates hopefully very soon. This time we will be breaking a household apart instead of putting some stuff back together.